Poor dental health and in particular dental decay is very common in children. If not treated properly decay causes toothache and infection which can affect eating, sleeping and other normal activities. Children with poor oral health are also more likely to have time off school. Dental decay is completely preventable through a combination of good diet and tooth cleaning however there are a very wide range of ‘risk factors’ that may make one child more likely to have problems than another. These factors relate not only to the child and their individual diet, toothbrushing practices, medical history and psychological make-up but also to their family environment, their parent’s oral and general health as well as the broader community and cultural influences. In addition to decay, children can hurt their teeth in accidents, or in some cases their teeth may not grow properly which can give rise to problems as the child gets older. A paediatric dentist is a fully qualified dentist who has gone on to complete an extra full time post graduate course in the specialty of paediatric dentistry at an accredited university. Paediatric dentists are trained to provide high quality comprehensive oral health care for all children. 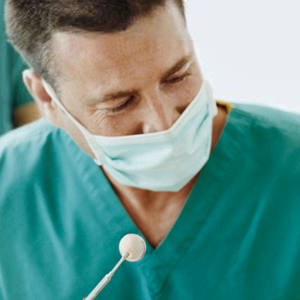 What particular expertise do paediatric dentists have? Growth and psychological development of children from before birth to adulthood. The causes and treatment of the full range of oral diseases both inherited and acquired, from decay to gum disease, tooth wear to traumatic dental injuries, missing to poorly formed teeth. The individual nature of each child and how their temperament, family and school environments and background impact on oral health. Childhood illness and disability and how these can impact of oral health and dental treatment. Existing research, best practice guidelines and evidence based treatment related to child oral health. Identify things that are causing dental disease and and to know how to help children and their families have healthy teeth and mouths. Deliver specialised techniques for managing anxious and/or young children including using special approaches to giving local analgesia and dental sedation as well as providing dental treatment under general anaesthesia. Treat children with all kinds of medical, physical and intellectual conditions including those with behavioural challenges such as Autism and ADHD. Work with doctors, paediatricians, nurses, allied health professionals as well as teachers and child care workers to help make sure that children have the best dental health possible.